SOLAR: SOLAR has been selected for REXUS! 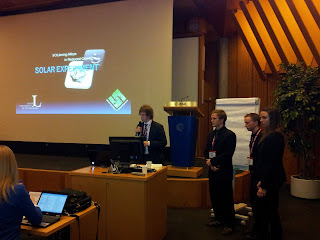 SOLAR has been selected for REXUS! We are happy to announce that SOLAR has been selected for the REXUS campaign in February/March 2013. For a week we have waited for the results, to finally receive the answer we were hoping for. This results in a significantly shorter Christmas for the whole team, but it’s a prize well worth paying. 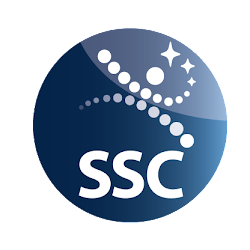 We can determine that the time is not on our side, in February we will present our first version of the SED (Student Experiment Documentation) and a week later we will travel to ESRANGE in Kiruna to present our PDR (preliminary design review). As if that wasn’t enough, the team will move from Luleå to Kiruna in January. At least we will be closer to ESRANGE. 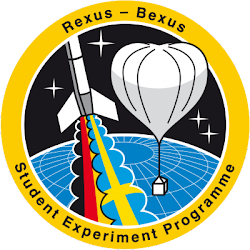 We would also like to apologize to the Swedish national space board as we had forgotten to address them as one of the sponsors for the REXUS program. On our way to the Netherlands!